Want to live on your land but struggling to get planning permission for bricks and mortar? On trend looks and comfort - Log cabins are now available in all sorts of shapes, sizes and styles. We offer contemporary models with bi-fold doors, glass frontages, and light and spacious interiors, as well as more traditional designs. Our portfolio ranges from a one-bedroom home right through to a three/four-bedroom lodge with en-suite, family bathroom, utility, kitchen/diner and lounge. Rural living - Log cabins are perfect for farm dwellings on smallholdings, housing farm workers or family members. However, planning laws are rigorous and there are many restrictions that apply to building new homes in the countryside as part of the NPPF (National Planning Policy Framework) Paragraph 55. The minimum size criteria for a smallholding is 7.5 acres, so if your land measures less than this, it will be more difficult to get planning permission. Business plan - You will need to demonstrate a proven requirement to live on the land to look after your livestock, and submit a detailed business plan showing that within three years your business will be profitable, sustainable and earning you the equivalent to an agricultural wage. Employ a specialist agricultural planning consultant to help you with this process. Existing mobile - If you have an existing mobile home on the land and you can demonstrate someone has lived in it for over ten years continuously, then you can apply for a Certificate of Lawful use to replace it with a new temporary structure or dwelling. Transportable log cabins should conform to this under the Caravan Act but have to measure no more than 20m long x 6.8m wide (65ft x 22ft). Transportable proof - If the log cabin needs to be transportable, then you must be able prove to the local authority that it is just that. This is something we have lots of experience in. 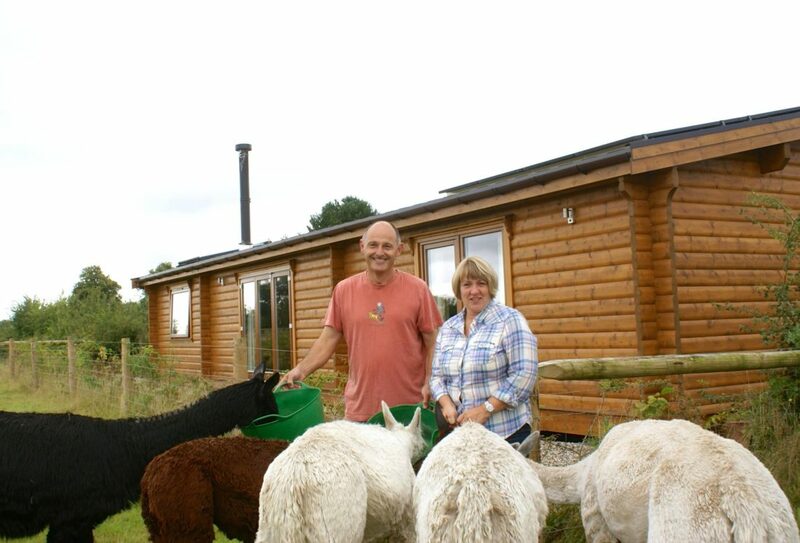 Check out our range here, and our various smallholder case studies including Lincolnshire alpaca farmers, the Stangers, and the Woods from Derbyshire. Our brochure can be viewed here.